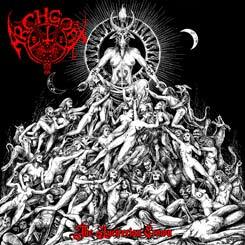 All HORROR GOD | TECHNE split CDs will be shipped with HORROR GOD's second album "Planet of Ruins" - until the supply lasts! Split CD between two Russian bands. Four songs by each band. Total time 41 mins. The CD comes with a 12 pages booklet and stunning art by Kirill. Horror God are presenting themselves with three new songs and an amazing cover version of PURULENCE track "Sinking Into Transparecency". The three new tracks showcase Horror God as a band which is able to create incredible riffs and overall patterns and while being technical, the songs remain memorable (Dust being a clear hit! ), have neat song structures and emanate with intense atmosphere. 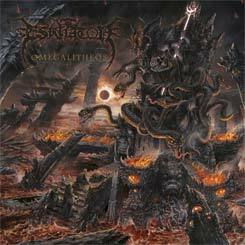 If you like Immolation atmospheres around CTAWB and UC albums, if you are into Ulcerate dense atmosphere and admire Gorguts' sense for creating original riffs as well as Pestilence, you do need to dwell into Horror God. The cover version of Purulence song complements the original material flawlessly. Purulence was the band with Big Steeve who, later on, joined Gorguts to create and record "Obscura" and "From Wisdom to Hate" albums. He also formed his own band named Negativa. This is a great homage to one of the most talented and visionary musicians in Death Metal. His legacy to Death Metal genre prevails! 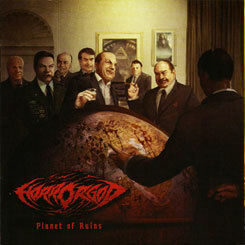 HORROR GOD will issue it's third album via Lavadome productions next year. Watch out! 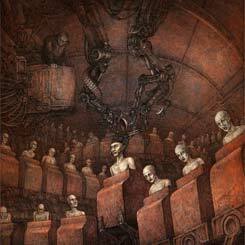 Techne and their four tracks, of which the last one being instrumental, execute Death Metal of another angle. The music is ingeniously layered but performed with incredible ease. The uniquely dark, surreal atmosphere shall slowly creep into your mind and you will find yourself coming back to these four tracks, sooner or later as I did. The industrialized, desperate oppression of fear, running as a backbone through Techne songs, is heavy; heavily addictive. The more you listen, the more suffocating it becomes. There's plenty of solos and fine-shaped riffs. The synths used are contributing to the whole surreal picture. The picture called Techne and you won't any other picture alike out there! Both bands are perfect examples of musicians being well aware of the genre's history, taking lessons from the best and learning from its own experience to refine and deliver material which does not just mimmick the masters but brings new, dark colors to the palette. Are you ready? The art for the split CD has been created by the talented artist, Kirill.